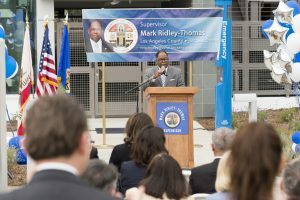 All photos by Henry Salazar/Board of Supervisors. 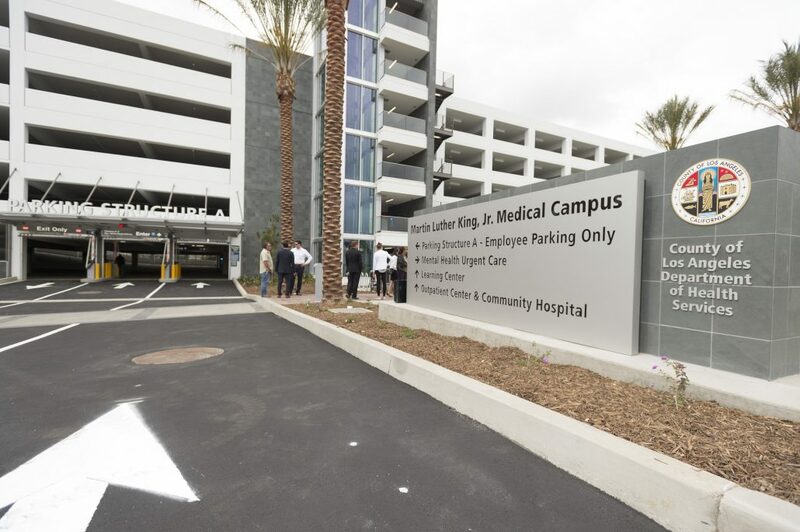 The Dr. Martin Luther King, Jr. Medical Campus in Willowbrook marked yet another milestone in its expansion with the opening of a parking structure embellished with a stunning piece of art. 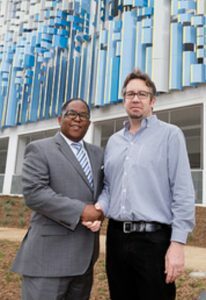 Supervisor Mark Ridley-Thomas and the artist, Rob Ley. 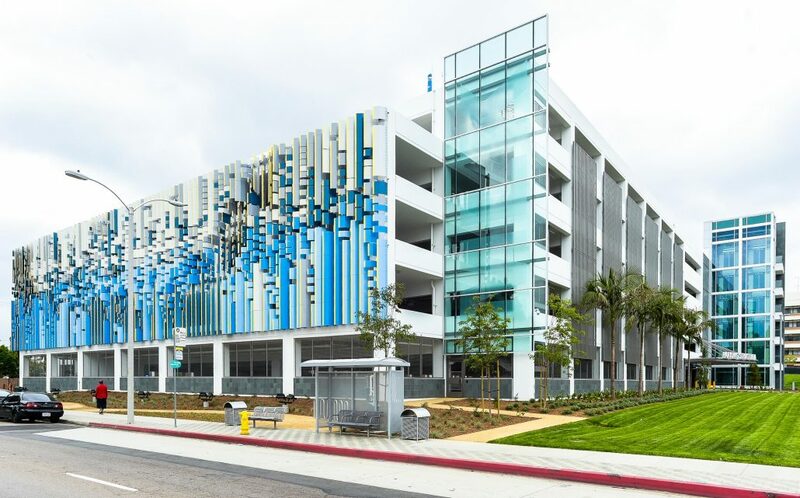 The 1,431-stall, six-story parking structure features a work of art called Endless Miles on its façade, as well as a reflection plaza and a walkway depicting the campus’ historic timeline. The transformation of the MLK Campus started in October 2011. It now includes the MLK Community Hospital, MLK Outpatient Center, MLK Recuperative Care Center, and the Center for Public Health. Construction is underway on the MLK Childcare Center that will serve staff at the campus. Later this year, workers will break ground on a 50,000 sq. ft. medical office building for physicians and other healthcare providers affiliated with MLK Community Hospital. Meanwhile, plans are under way to build a comprehensive and cohesive behavioral health center at what used to be the MLK Multi-Service Ambulatory Care Center.